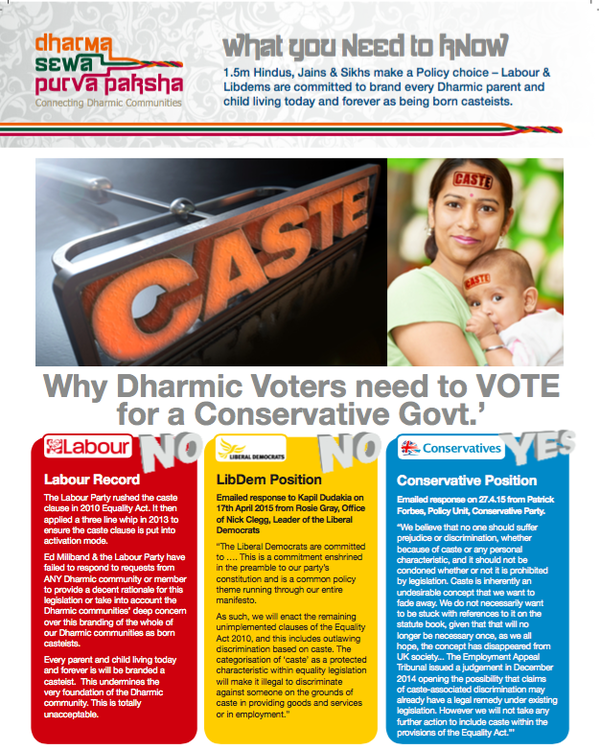 Hindu groups in United Kingdom are telling voters to support Conservative Party because it doesn’t want to ban caste discrimination. Hindu group, Dharma Sewa Purvapaksha, seems like it wants to maintain caste discrimination and is distributing following leaflets to support those parties that won’t outlaw caste system and caste discrimination. 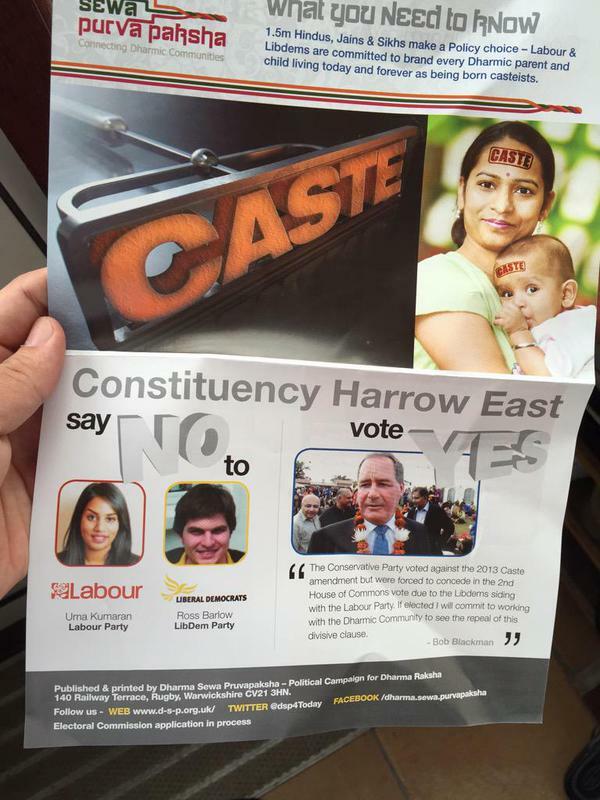 It must be remembered here Liberal democrats earlier had mentioned in their manifesto that their party will outlaw caste discrimination in UK. 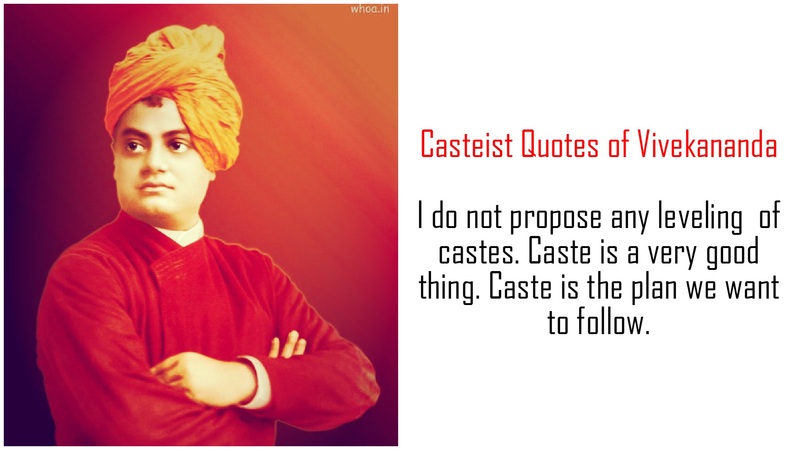 This is the real face of Hinduism that’s why Dr. Ambedkar had said wherever Hindus will go they will bring caste system with them. This act of spreading hatred by Hindu groups is really shameful and everyone must condemn such actions. This is pathetic,not healthy for a liberal,modern society,they should be thoroughly discouraged.